DENVER, Colo. – Today, Frontier Airlines announced the one-hundredth city in the low-fare carrier’s network and the addition of six new routes to its network. The airline will add new, low-fare service to/from Harlingen, Texas with the only non-stop service to Denver and Chicago as well as international service from Las Vegas with non-stop flights to both Cancun and Cabos San Lucas, Mexico. 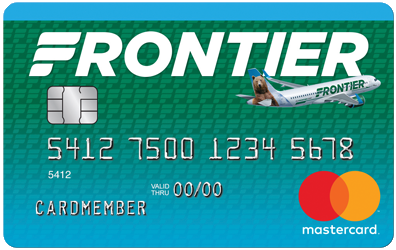 To celebrate these new routes, Frontier is offering special introductory fares as low as $39 available now at FlyFrontier.com. In addition to low fares for Harlingen being the carrier’s 100th city served, the non-stop flights to Denver mark an important milestone for Denver International Airport (DEN). The addition of Frontier service to Harlingen brings the number of domestic destinations available from DEN to 179, which represents the most domestic routes that any U.S. airport serves. Frontier is proud to help its hometown airport achieve this success. Additionally, Frontier will introduce new service from Chicago O’Hare with flights to Palm Springs, Calif. and from Philadelphia to Sarasota, Fla. This means Frontier will now offer 31 non-stop destinations to/from Las Vegas, 19 destinations to/from Chicago, 24 destinations to/from Philadelphia, and 2 destinations to/from Sarasota. Depart ORD: 1:54 p.m. Arrive HRL: 5:15 p.m. Depart HRL: 6:05 p.m. Arrive: ORD: 9:19 p.m. Depart ORD: 7:50 a.m. Arrive PSP: 10:12 a.m. Depart PSP: 5:12 p.m. Arrive: ORD: 11:18 p.m. Depart DEN: 6:15 a.m. Arrive HRL: 10:02 a.m. Depart HRL: 10:55 a.m. Arrive: DEN: 12:52 p.m. Depart PHL: 4:52 p.m. Arrive SRQ: 7:45 p.m. Depart SRQ: 8:43 p.m. Arrive: PHL: 9:18 p.m.
Fares must be purchased by 11:59 pm Eastern time on Aug. 29, 2018 for nonstop travel. Travel is valid Nov. 27, 2018 through Feb. 13, 2019. Fares are valid as indicated below dependent on days of service. The following blackouts apply: Dec. 20, 2018 – Jan. 8, 2019, and Jan. 18 - 21, 2019.